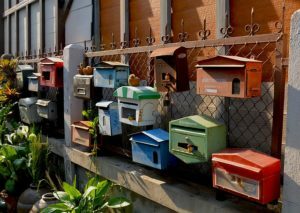 Since you have landed on this page, I assume you are interested in getting an address for business registration. To be specific, you want the address without the physical space. Before I tell you how, please take a minute to read the section below that explains what the Indian law says on this matter. I can vouch that reading this before you make a decision is definitely for your good. All the affairs of companies in India are covered by the Companies Act 2013 to the extent of sections notified, and for sections which are yet to be notified Companies Act 1956 will still be in effect. The Companies Act 1956/2013 requires that every company seeking registration in India is required to maintain a registered office to which all the official correspondence, documents, etc will be sent by government departments. Registered office to be situated in the state where the company is registered. Registered office cannot be a vacant plot or under construction building. The name and Corporate Identification Number (CIN) needs to be displayed prominently outside the registered office. Only registered office needs to be registered with the Ministry of Corporate Affairs (MCA). Your corporate office, branch office, etc. needs no such registration. There is no need for a registered office to have an office setup. You can register your rented residential address also as a registered office. If a registered office is yet to be decided at the time of incorporation, it should be notified to MCA within 15 days of incorporation (may change to 30 days soon) using Form INC-22. Utility bills such as electricity, water, telephone bill, etc. For owned property, the latest property tax paid receipt. For rented property, an NOC from the landlord allowing you to use the address for business registration. Rental or lease agreement in proposed company’s name. You are free to operate from anywhere in India, but having a local address builds trust with your clients, creditors, suppliers, and adds credibility to your business. The premium virtual address can be printed on your card and can be used in your business correspondence. No office lease, no utility bills, no office equipment and no office furniture. In fact none of the expenses associated with the traditional office space. Phone answering and facsimile services apply the professional touch to your corporate look. Immediate availability, flexible and short term lease periods, easy agreements and the facility to expand, when required, with the same provider. 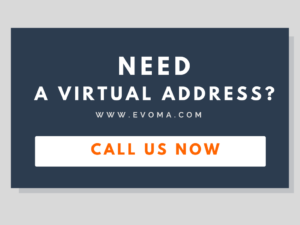 Now – Do you want a virtual address in Bangalore? Fast and easy process, and you can start making use of your new local office address immediately.